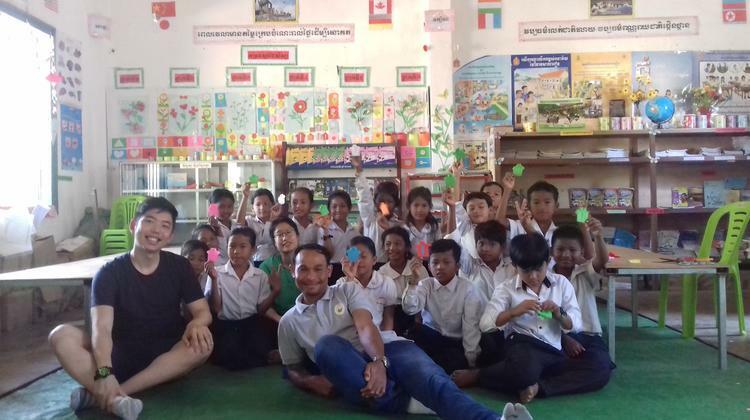 When Liana Tran and her partner chose to sponsor four-year-old Sreynath and 12-year-old Pov from the Rukh Kiri project in Cambodia, they knew they were making an empowering decision to help vulnerable children. But they were also a little sceptical of how much impact their donation would truly make. “I am always sceptical about whether the projects are real, whether children actually exist, whether the projects make a difference or not,” said Liana. 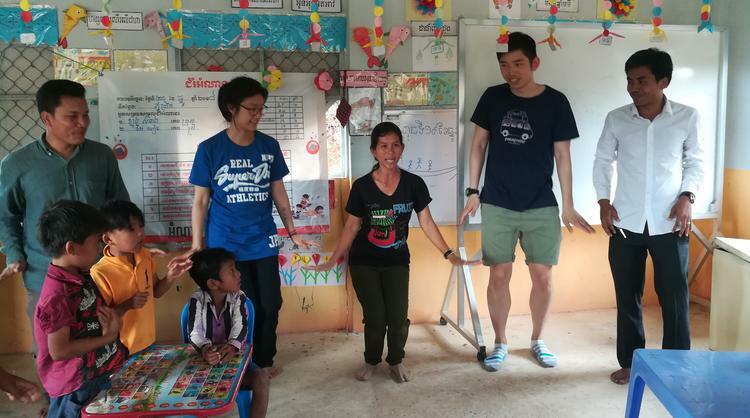 These hesitations quickly changed when she was given the opportunity to meet her two sponsored children in person on a sponsorship visit to Cambodia. Liana and her partner take a moment to learn with their sponsored child. World Vision has been working in the Rukh Kiri community since 2013, strengthening the quality of life for the community and its people. This will continue for the next 15 years or until the community is empowered to sustain ongoing development for themselves. Before World Vision established the partnership, many children didn’t go to school because parents didn’t prioritise education and violence often went unnoticed behind closed doors. Fortunately, with the help of child sponsors, a number of initiatives have been established in the community to challenge violence against children and encourage school attendance. Through “Celebrating Families” sessions, World Vision trains volunteer leaders to facilitate and strengthen engagement and dialogue between parents, children, authorities, church and youth leaders on violence prevention and education awareness. Children like Sreynath and Pov are encouraged to become leaders and learn how to speak up about child protection, child rights and understand how and where to report issues. School attendance has improved and parents show a better understanding of the importance of encouraging child learning. Liana and her partner share a game of soccer with their sponsored child during their visit. This first-hand experience of development in the community gave Liana and her partner strong faith that their monthly contributions are creating significant change in the community. Child sponsorship visits enable sponsors to see the life-changing impact they've made. 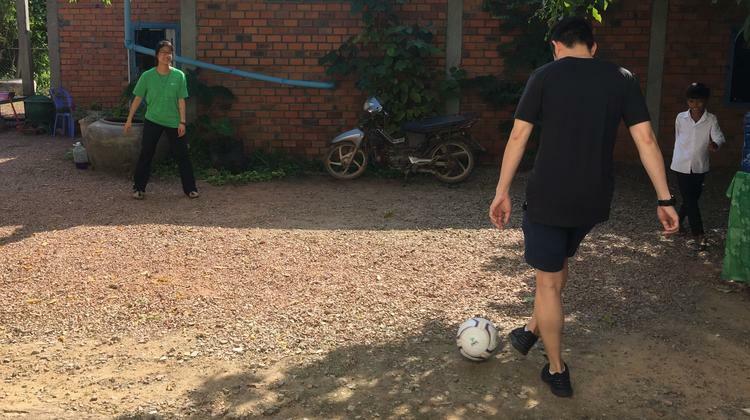 “World Vision has transparency and openness to organise sponsorship and child-letter exchanges and these visits to the sponsored child and their communities make it more real and personal than just some amount of money leaving the bank account every month,” she said. See how your sponsored child’s community is progressing through your My World Vision account here.